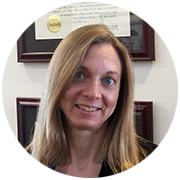 Margot L. Ludlam, Esq A 1994 graduate of Pace University Law School, Ms. Ludlam earned her B.A. from SUNY Binghamton in 1991. Prior to joining BSS Ms. Ludlam established herself as a noted attorney in the litigation and trial of complex and mass tort cases. She spent several years at a prominent Manhattan defense firm where she handled all facets of defense litigation, from inception to trial, in the areas of general negligence, medical malpractice, product liability and labor law. Thereafter, Ms. Ludlam was hired as in-house counsel at American International Group, Inc., where she managed litigation in the environmental claims/toxic tort unit on behalf of Fortune 500 companies. While at AIG, Ms Ludlam supervised outside counsel, performed comprehensive exposure risk assessments and analyzed multi-state insurance coverage issues. She evaluated the extent of the claimed contamination/exposure as a result of the insured’s activities and conducted roundtable presentations as necessary to prepare for trial or settlement of multi-million dollar of claims. Thereafter, Ms. Ludlam joined another prominent defense firm where she maintained a broad base of complex civil defense matters on behalf of large-scale corporate clients and insurance carriers in the areas of products liability, general negligence, auto, and premises liability, with a concentration in toxic tort and asbestos defense. Ms. Ludlam has handled numerous mass-tort litigations. At Baxter Smith & Shapiro, PC Ms. Ludlam is involved in the litigation and trial of complex, high exposure matters involving product liability, toxic tort, construction, coverage and commercial issues. She is admitted to practice in the State of New York and the United States District Court, in the Eastern, Southern and Northern Districts.